This was another party weekend for the Bailey's! 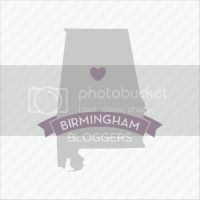 On Friday night I went to Birmingham to help host a Fiesta Couple's Shower for my friend Jennifer. Jennifer was one of my best friends in law school and was a bridesmaid in my wedding and I am so excited to be one in hers! 2 of the other bridesmaids and one of her fiance's family friends and I got together to throw the shower. By "got together" I mean we planned the entire thing over email and it was really easy and a good experience! By the time I arrived at the party site everything had just about been set up. Leslie was so sweet to host the party at her house and she and her mother went all out to make it look fiesta appropriate! My contribution was several dozen cookies, made by my lovely assistant Rachel, for the occasion. Aren't they adorable?? She can do any shape and color and even different flavors, so if you are interested in having some made, contact me and I will put you in touch with the master! Margarita cookies with sugar rim. Precious! My favorite part of any shower-----PRESENTS!!!! It was a great night of Mexican food (from Salsaritas), Sangria (see below---and may I just say, FABULOUS), and sweet friends!! On Saturday I was exhausted--I felt like a truck had run over me or something. Nope, not too many glasses of Sangria, just too many late nights! I had gotten home after 11pm twice and at 10 one night during the week so needless to say, I was wiped out! Luckily, we had nothing to do on Saturday morning, so we lazed around, watched too many episodes of House Hunters International Tour de France (which got me obsessed with going back to France AND a new blog--http://www.designmom.com/), and ate frozen pizza til our hearts content. Which brings me to another exciting occurrence: Forrest fixed my oven! Yes, like, for real fixed it! On Memorial Day (yes, we were oven-less for over a month) there was a power surge that fried our outdoor light bulbs and blew out the computer on our digital oven. Far be it for us to rush into anything, so we first tried to make a claim to Alabama Power (note: they do not pay you back when an animal chews threw the power line, which apparently happened in this case), then we got an estimate to fix it (over 300---ick) and then we tried to find one just like it (alas, no stainless with black handles was less than 1200, or at least, not one I liked). We decided that fixing it would be the best best so I put in our order to the repairman. Well, 1 week later when I called to check on the part, it turned out that it hadn't been ordered and I got really upset and finally acquiesced to Forrest's desire to fix it himself. He ordered the new computer, we got it 2 days later, he put it in and voila!!! A working oven for less than 1/3 of the cost we were quoted!! Hooray! Thank goodness my husband is such a Mr. Fix It! Anyway, I digress. After a long day of relaxing we headed to church and then to Gabrella Manor for Allison and Strud's wedding. I had never been there and it was such a lovely venue! The wedding ceremony was performed by Earle, one of the leaders on the CMMA mission trip that I went on with the Dental School last year. Actually, that is where I really got to know Strud and Allison too! We had a great time celebrating their day with several of our dental school friends, that I rarely get to see, since they are all an hour away. Congrats Strud and Allison!!! What better party favors at a dental school wedding than toothbrushes???? You know I have to take pics of the cakes! We love you Strud and Allison! On Sunday, I was PUMPED because we were going to lunch at the Bailey's (home grown veggies, yes please!) and then to Uncle Mike and Aunt Debbie's to swim with the pups. Well, the weather had different plans and decided to rain out my perfect poolside afternoon!! BOOOOOOO! Instead, I got to grocery shop and lay on the couch pouting while watching movies all afternoon (ok, I will accept this as a viable trade option next time) before dinner at Mom and Dad's. This week is Forrest's last week of summer before he starts school next Monday. I think I am dreading it more than he is! I have just gotten so used to him NOT being busy with school that I don't want to give him back!! Oh well, just 1 more year! !